I have been blessed with the ability to communicate with Beings of Light since I was a small child. They have been my teachers in this lifetime, and essential to my spiritual path, helping me continue to move forward in their loving and compassionate way. Connecting with your personal guides and occasionally other Beings of Light is one of the absolute best ways to speed your spiritual evolution. They have a higher perspective that comes from places beyond what humans can imagine. Most humans have personal guides—beings who help them from the non-physical realms—and with whom they have soul contracts. Agreements are made before birth and sometimes reassignments are made during life as people grow and evolve. These beings are our good friends, and they offer support and guidance, whether we are aware of them or not. They do not interfere with our lessons, but they help us through them as quickly and easily as possible. Besides personal guides, there are other beings with whom I speak. These beings do not act as personal guides, because they are working very hard on the behalf of all humanity, but they can be contacted in special situations. I have great respect for these Beings of Light and do not bother them with trivial matters. The Ascended Masters are a group of beings who took many incarnations and graduated from Earth, ascending to the next level. Many of them now help humanity evolve by influencing events and people energetically. They work hard to help us all, as their missions are vast. They do, however, understand from personal experience the challenges of being human. The angels are another type of being, most of whom never incarnated. They also work with energy, and provide support and love and joy when called. They do not have much knowledge of human life, but they are very good supporters. 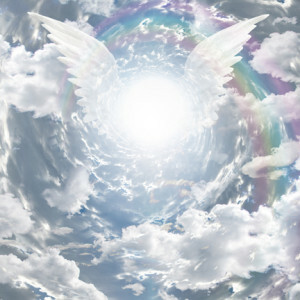 The archangels oversee large groups of angels and are accessible when called for special needs, or at least they will send some of the angels under their management. I also sometimes talk with nature spirits, the beings who care for the forms in our world. Of these, there are elementals, the ones who create and maintain aspects of our physical world, and devas, who are more like architects and create the design. Through our Land Healing Project, I have been contacted by many devas, such as mountain spirits, who have a unique perspective on time and humanity and offer great wisdom. Because the veils have been thinning in the last few decades, it has become easier to connect with beings on the other side. When I teach people to open their communication channel with their guides, I do stress the importance of discrimination. Not all beings who want to communicate are guides, and people new to the process, if not careful, can draw in beings who do not have the highest goals of spiritual evolution in mind. So it is good to be aware of who you are letting in. Some beings are very clever and will even try to fool you into thinking they are someone they aren’t. You will know your personal guides because they feel familiar, good, and loving. They will only advise you, never telling you what to do or trying to control you, because their sole reason for being with you is to help you achieve the mission you chose before birth, including the lessons you need to learn. Your guides will never try to flatter you or coax you with promises of power, and they will always encourage oneness rather than separation. I cannot imagine life without my dear friends in high places! Previous Previous post: Be a Grounding Rod!